This book has been talked about a lot by sites like The Millions and Entertainment Weekly, so I myself am really looking forward to a chance to read it! And now I can offer one lucky reader a chance to win their own copy! To enter, just fill out the form below! Giveaway closes October 28 and the winner will be notified via email. 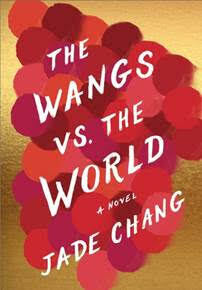 The Wangs vs. The World official site has more information about the book!